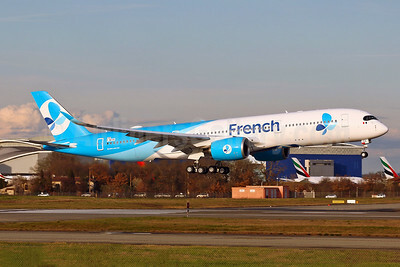 (formerly French Blue) (subsidiary of Air Caraïbes) (BF/FBU) (Paris-Orly) 2018 - Current. Photos. Framable Color Prints and Posters. Digital Sharp Images. Aviation Gifts. Slide Shows. 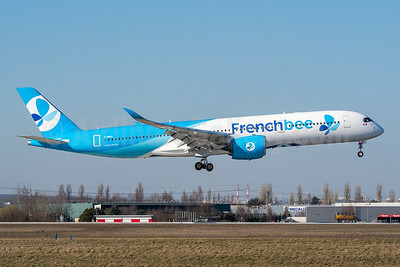 French (Bee) Airbus A350-941 F-WZGX (F-HREV) (msn 193) TLS (Eurospot). Image: 940990. 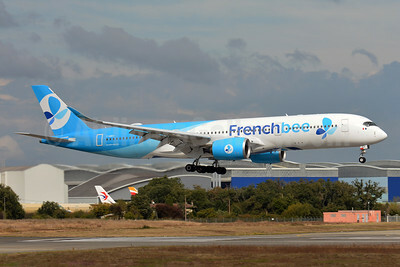 French Bee Airbus A350-941 F-HREV (msn 193) TLS (Paul Bannwarth). Image: 944209.